Our blue-and-white fine china porcelains of Ming Dynasty style are hand-made and no two pieces are alike. 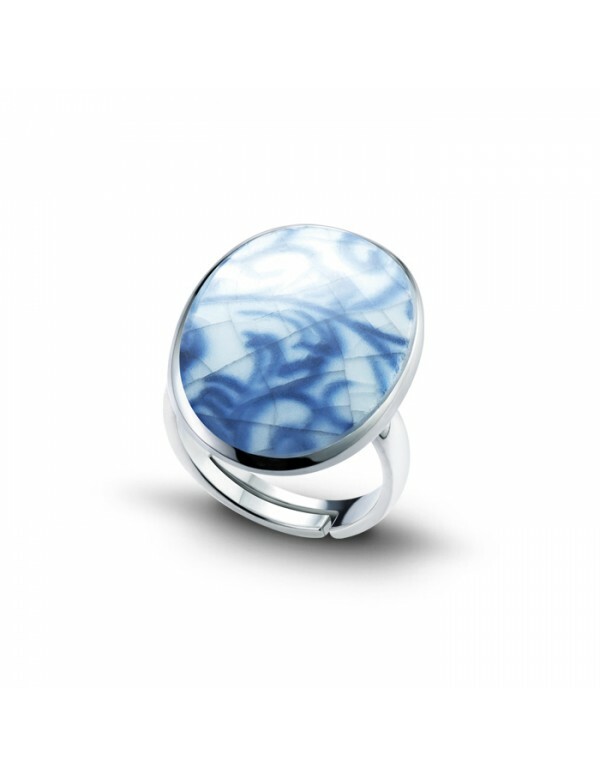 These unique art style rings are set in 925 Sterling Silver and an easy complement to your outfit of the day. Contemporary and understated.